At Guardsman Inspections it is our goal to provide you the most accurate, thorough inspection possible. Buffalo and WNY’s Best Veteran owned inspection firm. As a Veteran owned business, we know attention to detail is critical. We educate our clients during the inspection, so whether you are a buyer, or a seller you will receive an unbiased opinion regarding the condition of the property. As a graduate of American Home Inspection Training or AHIT, we set the standard in quality. We are NYS Licensed and insured. At Guardsman Home Inspections we don't get tunnel vision, we inspect the property thoroughly to give our clients the best advice possible. 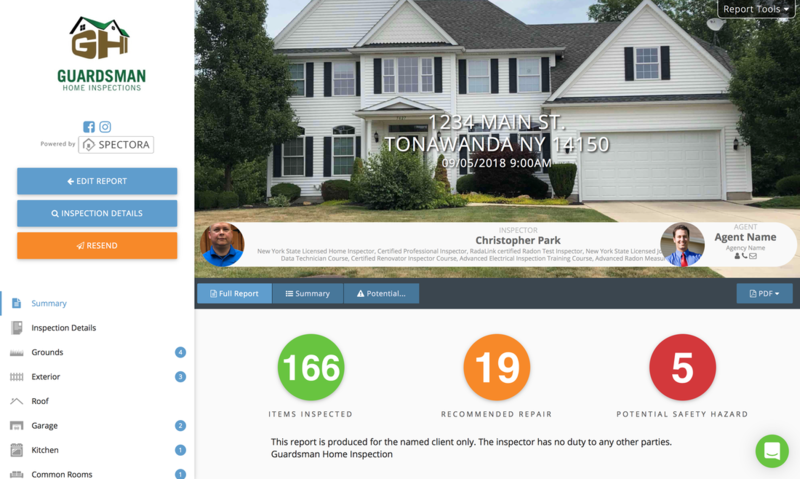 Call today and experience the Guardsman Guarantee --- " We will Protect your investment"
Guardsman Inspections, is currently providing inspection services for home buyers, home sellers (Pre-List Inspection) as well as commercial property inspection.